Naptime musings | A covey of Covis! Helen Jeanette seems to have grown up overnight. Suddenly she doesn’t always want to be held but enjoys playing by herself. She is loving tummy time and is even asking for it. She seems desperate to start eating solids and she can’t take her eyes off our food. 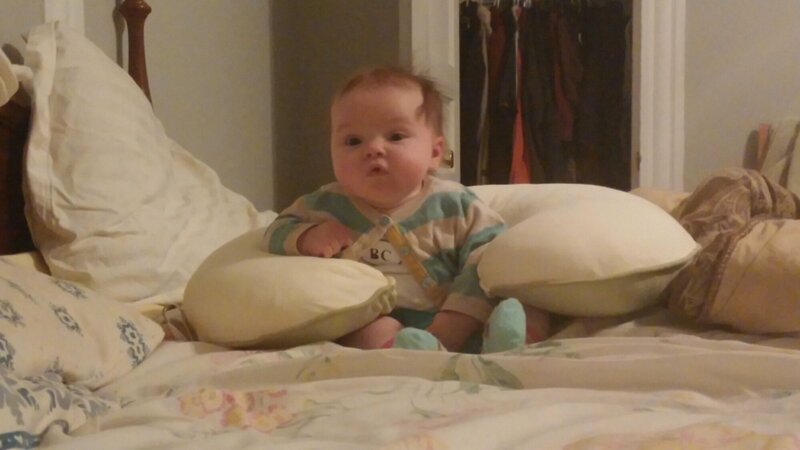 She loves to sit up and can even crutch herself into a seated position and hold it. (For one second before she topples over.) Of all the cliches in the world “they grow up fast” has always been the most over played in my opinion, but it turns out there’s a reason for that. I gave birth, blinked, and now I have a 3 month old.